Can I Bring a Lighter on a Plane? This one question is often asked online by travelers. According to the Transportation Security Administration, there are certain restrictions and limitations to the items you can bring on the plane with you. From simple tools to everyday objects, the list is vast. In this post we will talk about the restriction and limitations levied on the cigarette lighter. So, if you are a smoker and can’t live without your cigarette lighter for even a day, then do read this post. It will tell you everything you want to know about carrying the lighters on a plane! It is allowed to carry a cigarette lighter on a plane. But there are few restrictions on it that you must be aware of. Let’s check them right away! 1 What Are The Types of Lighters You Can Bring on A Plane? 2 What are the exception to ‘one lighter rule’ and ‘no torch lighter’ rule? 3 Can You Bring Empty Lighter on a Plane? 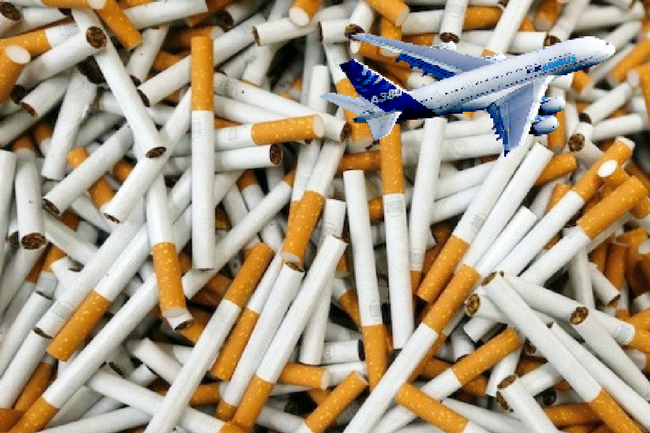 4 Can You Bring Cigarettes on a Plane? 5 Is there Any Restriction on E-Cigarettes? 6 Can You Take Cigarettes on a Plane in a Hand Luggage? 7 Can You Take Matches on a Plane? 8 Can You Take a Bic Lighter on a Plane? What Are The Types of Lighters You Can Bring on A Plane? Well, this is the point from where all the complications begin. 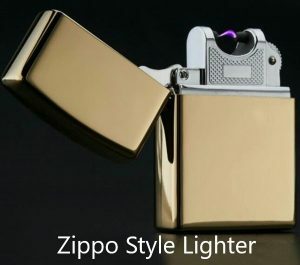 According to the U.S. Department of Transportation, a person is allowed to carry one zippo-style or butane lighter along in the international carry-on luggage, with only a few exceptions. The TSA regulations prohibit carrying jet lighters, cigar lighters, and blue flame lighters. Besides this, lighters prepared from imitate weapons or firearms are not allowed to carry along. It is allowed to carry 1 lighter in your carry-on bag, but it must remain inside and is not allowed to take out. Otherwise, you can keep one lighter in the pocket and it is not allowed to move the lighter during the flight. 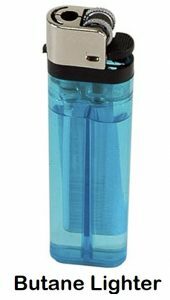 There are varieties of lighters available, but there are certain restrictions and limitations to each type. So, check this list to know about the lighters you can carry and those you cannot. Be it an aircraft cabin or checked baggage, chef torch, utility torch, flammable gas cylinders, propane canisters, butane canisters, lighter fluid, torch lighter, lighter comprising an unabsorbed liquid, lighter gas refills, and lighter shaped guns or similar weapons are not allowed at all. While you can carry a torch lighter or a lighter under DOT special permit container is permitted in checked baggage, but not permitted in the aircraft cabin. Lighters containing flammable gas including disposable lighters or butane and lighter comprising flammable liquid in zippo-type are allowed in aircraft cabin but not permitted in checked baggage. What are the exception to ‘one lighter rule’ and ‘no torch lighter’ rule? You may ask Is it permitted to bring a lighter on an airplane? While a person is allowed to bring only one lighter at a time, you are permitted to bring 2 additional lighters, including a torch lighter in your checked luggage only when you have an approval from DOT. Most of the major lighter manufacturers, Zippo, Prometheus, and Colibri offer secured DOT special approvals for their containers of light travel. 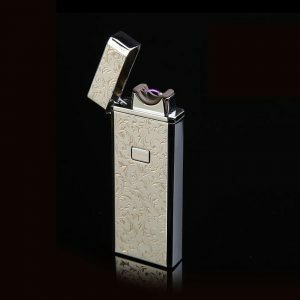 Such lighters can be bought from online stores or specialty stores. The DOT approval containers offer an easy way to carry lighters in checked baggage. Hence, when you shop for a travel-friendly lighter container, make sure it is marked with DOT special approval. Also, you must be read the instructions properly. The DOT special permits are provided only to the U.S. domestic air travel. Can You Bring Empty Lighter on a Plane? An empty lighter is one, which is completely empty and free from vapors or fuel residue. Such lighters are not regulated by DOT as a hazardous material. Though there is no limitation to the number of empty lighters you can carry, But carrying too many empty lighters can result in delays at security screening. For this reason, it is recommended by FAA to pack empty lighters in checked baggage along with a note confirming that they are free from fuel. While it is possible to bring cigarettes on a plane, but there are numerous potential restrictions on it. One major restriction is regarding the number of cigarettes you can bring along with you. The amount of cigarette you carry would be approximately equivalent to the total length of your stay. If your trip is for a certain time period, then it must not be allowed to carry 4 cartons of cigarettes. Moreover, it is essential to have appropriate stamps on the cigarette. This is to confirm that you have paid appropriate taxes. If you want to carry multiple cartons or packs of cigarettes with you, then you can do this. But make sure, you check for the U.S. airline customs and regulations for the number of cigarettes you can bring from most foreign countries. As far as the U.S. is concerned, it is allowed to bring five cartons or 1000 cigarettes into the United States from Guam, American Samoa, Virgin Islands, and Commonwealth Games of Northern Mariana Islands. For other countries, it is better you check with their government rules and transport regulations. Is there Any Restriction on E-Cigarettes? With the increased popularity of electronic cigarettes and vaping devices, there has been innovation in TSA rules. All types of vaping devices like vaporizers, e-cigarettes, atomizers, and vape pens are allowed only in the aircraft cabin. This means that you can carry them in your carry-on bag, but not in the checked luggage. Such items are restricted as most of them comprise lithium batteries that can be highly dangerous if overheated during flight. Can You Take Cigarettes on a Plane in a Hand Luggage? Yes, it is allowed to carry cigarettes on a plane in hand luggage as well as checked baggage. But make sure you don’t carry a matchbox or lighter along with it. You can carry the cigarette packs with you and if you shop from duty-free stores then you can carry 2 or 3 packs. But you are not allowed to use cigarettes at the airport or during flight. Yes, just like a lighter, you are allowed to carry matches on a plane only under the exception. Even in an exception, you are allowed to carry one pack of safety matches. This is much like a fuel though, but you are absolutely not permitted to carry more matches in the checked baggage, even in the approved carry bags. Can You Take a Bic Lighter on a Plane? This would be of great relief to the smokers as according to the TSA rules you are allowed to carry common lighters on board. In other words, you are allowed to carry plastic BIC lighter. But make sure that you do not carry torch lighter or butane lighter along, even not in the zippo pouch. Traveling long distance without smoking can be highly difficult for you. But when you need to board the flight because of an emergency or any other reason, then this can be difficult for you. One tip to consider is to consider consuming nicotine patches. This works for lots of individuals and they can pass on the plane. If you are not able to find nicotine patches, then you can get nicotine gum for yourself. Besides this, it is essential that be sure that you properly plan your time before your flight. Make sure to leave some little window to complete the cig before you have to board the plane. Also, first smoke in a smoking zone and then plan to board the flight. This will help you manage your time more efficiently. Undoubtedly, a person is allowed to carry one lighter at a time during the flight. Do fill up your lighter before the trip and give yourself time to get those last cigarettes before boarding the flight. Don’t carry anything in your checked luggage as this can mess up things. Even when you carry items in your hand luggage then do follow the rules and regulations of the transport authority. Alternatively, if you are boarding a long flight then take support from nicotine, at least, for that particular time.